Sync clients for Windows, Mac and Linux. 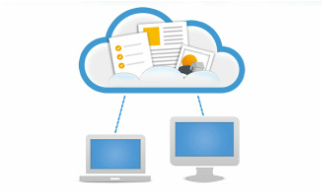 Generic hosted solutions for file sharing give no guarantees for the safety and security of your documents. In the last few years most of the largest providers of document sharing websites have been compromised with security breaches and unintended leaks of customer data. Our FileCloud software offers companies and organizations all of the best benefits of the top tier file sharing websites, but in a software solution you can run on your own network. All email systems have a limit on the size of attachments that can be sent via the email client or server. Microsoft's Outlook 2013 has a default size limit of 20Mb, Microsoft's Exchange 2010 defaults to a 10Mb attachment limit and even Google's Gmail limits attachment sizes to 25Mb. While in some cases these defaults can be changed, it would require both the sender of the email, and the receiver to make those changes. When even a modest medical or mortgage file can run to hundreds of megabytes of scanned pages, and a scanned copy of a single 8x10 color photo can be 22Mb, emailing those as an attachment becomes impossible. Thus many people resort to either copying and sending via courier or post, scanning and burning the scanned image files to a CD and mailing, or lately using some publicly-accessible website to upload the large files and share them, with no guarantee of privacy or security. SecureDocSharing's software provides you with a safe, secure and easy-to-use solution to the problem of sending large files via an internet connection. The FileCloud solution scales from 1 to 100,000 users per instance and can accommodate thousands of gigabytes of stored data. User pricing starts at $999 per year for an on-premise 20-user Starter Kit and only $40 per year for each additional user. Includes support and all software updates. Customize the FileCloud login screen with your own logo, your own Terms of Service and your own Legal Disclaimer. When users navigate to your file sharing web portal, the solution they see is branded with your organization's own unique identity.